Did you know the single most important factor to get the most value from your roof is preventive maintenance? Our maintenance and repair department consist of a specialized workforce completely dedicated to facing the challenges commonly found with existing roofing systems. These teams provide 24 hour emergency service, leak investigations, disaster response service, roof repair and preventative maintenance programs. 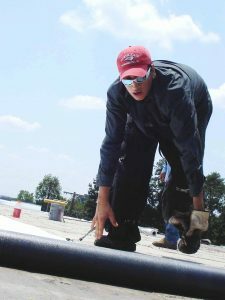 We are a qualified and certified applicator to provide roofing services for new HVAC, plumbing or electrical up fits. We are approved applicators for all major roofing manufacturers and make all needed maintenance and repairs to maintain your valuable warranty. We can provide you with a free roof assessment and proposal with valuable information about your roof and its current and future needs.